Susanna was born from the dream of 3 Italian brothers who came to New York City to start a new life and who wanted to offer authentic Italian style thin crust pizza. The kitchen and pizza oven take center stage, enclosed in a dark area facing the restaurant over a light colored wooden counter. 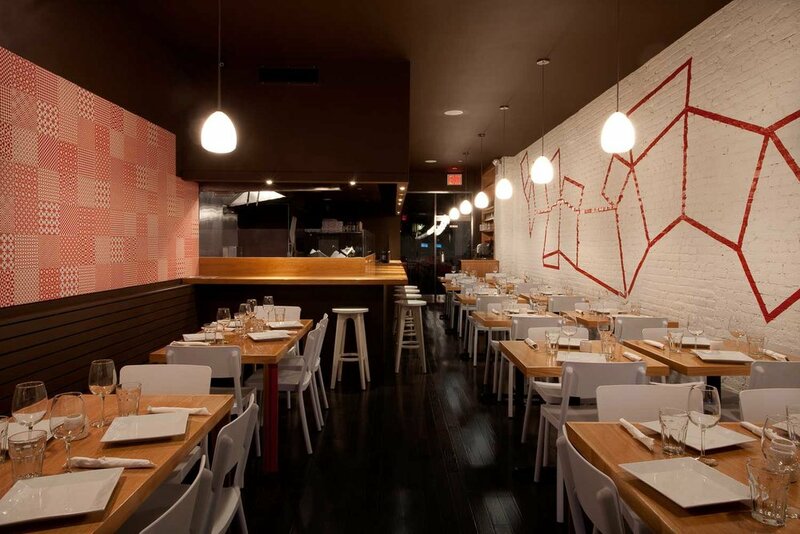 The walls on each side of the restaurant evoke the spirit on which the concept for the space is based. On the left wall, the ceramic red and white tiles evoke the domestic warmth of the traditional Italian kitchen and table cloth. 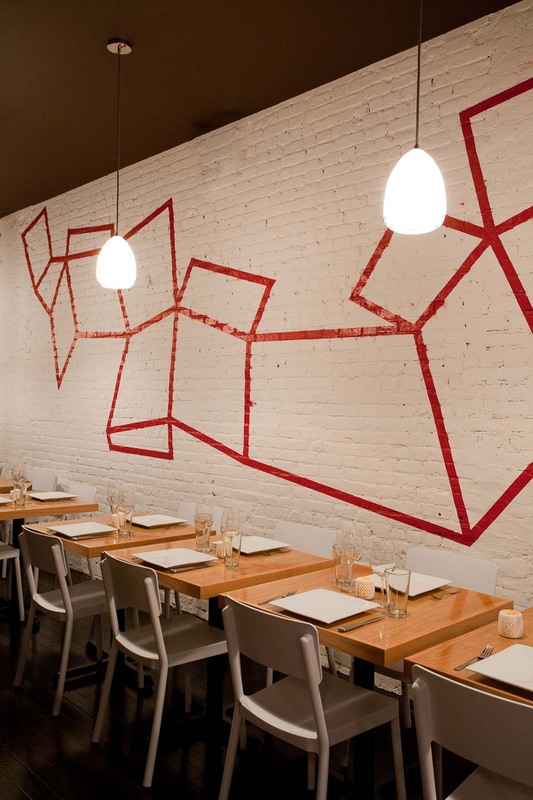 On the right, an exposed brick wall characteristic of old New York, becomes the canvas for an original, fun, modern concept piece designed by Sergio Mannino. The chairs echo the pure white of the walls. The hanging lights are the medium which draws the eye from the brightness of the ceramic tiles to the darkness of the ceiling and then to the open space in the rear of the restaurant leading out to the garden. 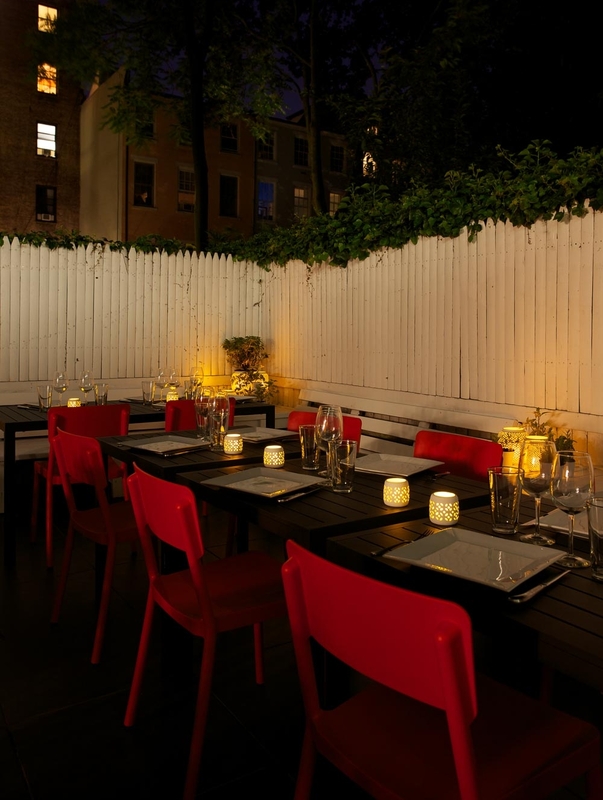 The open backyard was specifically designed to reflect its metropolitan environment. 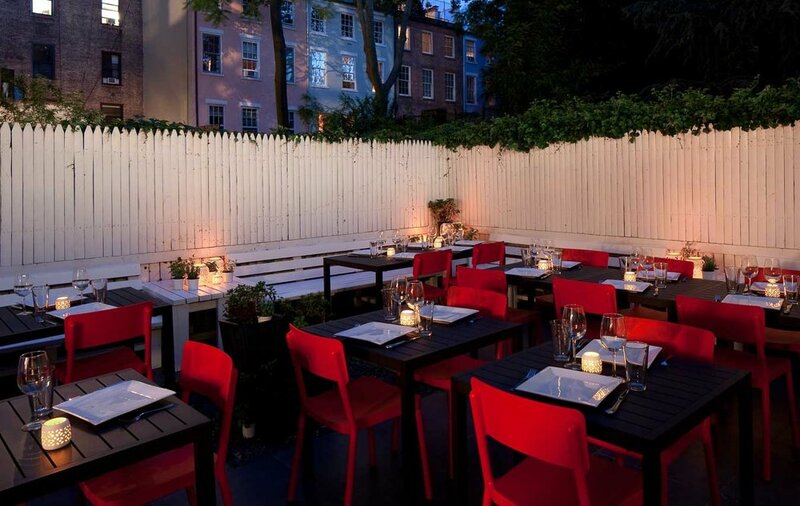 The soft candlelight invites you into a garden space filled with wooden benches and a white painted fence, black metal tables and red plastic chairs. The garden ambiance is enhanced by the inclusion of basil plants, plus other herbs and spices which provide the aromas of traditional Italian cuisine. The designer's aim was to design a space that would create contrasting yet coherent emotions. The result is a space driven by the Studio's passion to create something new, where Italian design meets the influence of metropolitan modernity.